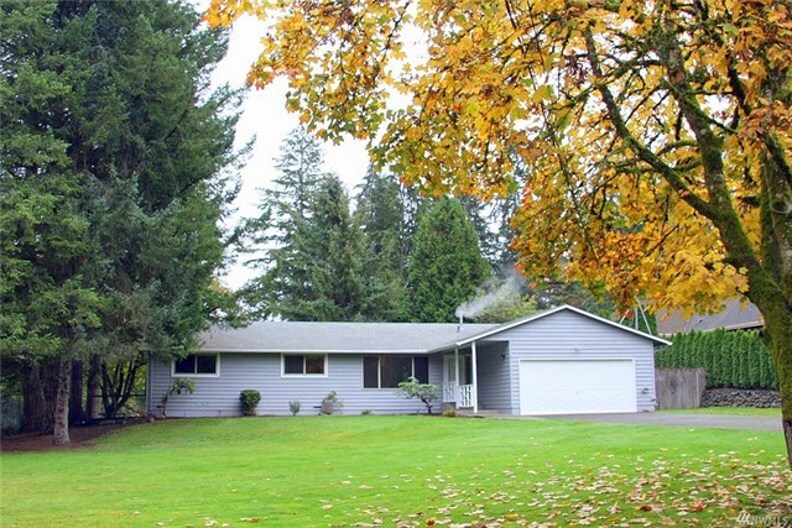 Spacious rambler on a completely flat 1.05 acre lot located on a very nice street w/many newer and larger homes. Very private & peaceful setting! 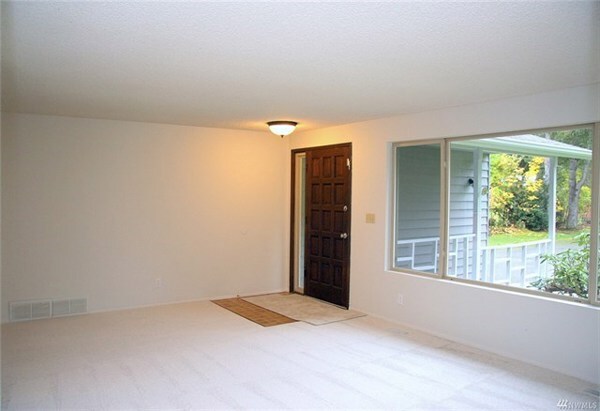 Rural area yet excellent Bothell location. 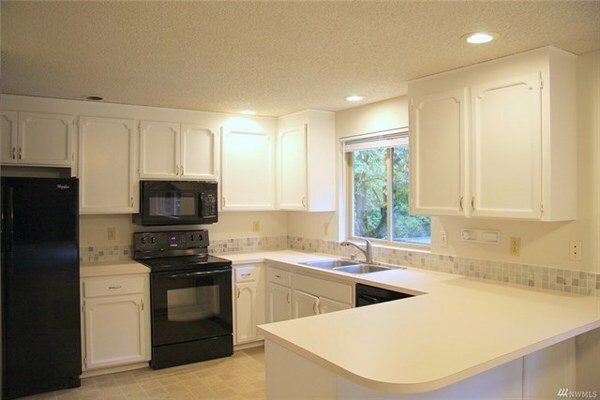 Open F/P, large L/R, open kitchen w/abundant cabinets & walk-in pantry, huge eating space. 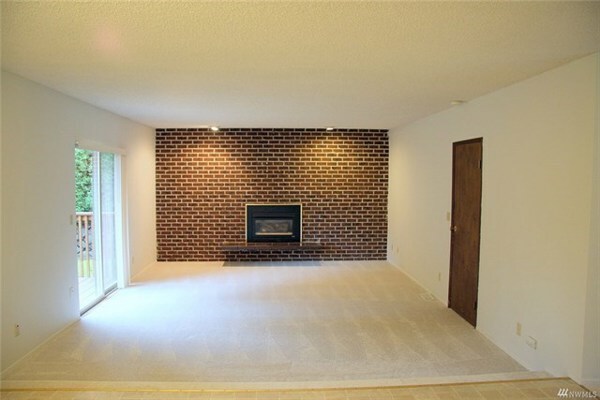 Spacious F/R w/floor to ceiling brick frpl, & slider to large deck. M/Bd w/3/4 bath. 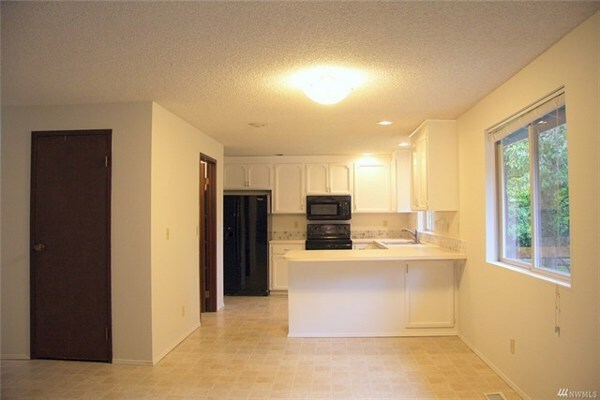 Separate utility room w/toilet & sink. Vinyl windows throughout. All new interior & exterior paint. All new carpet & kitchen C/Tops.